A Prince George's County pastor used the pulpit to blast the president for his alleged comments about African nations and Haiti. News4's Tracee Wilkins reports. 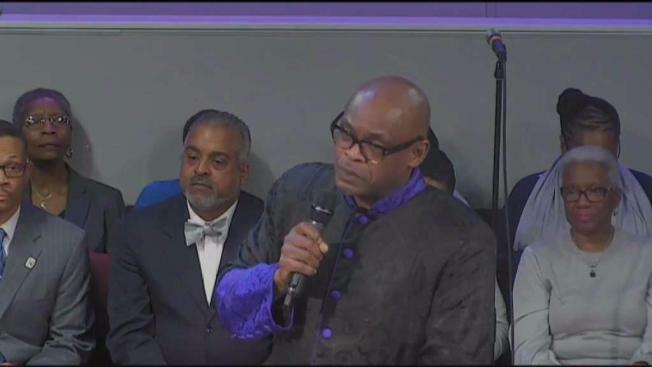 A Maryland pastor spent his Sunday sermon addressing President Donald Trump's comments about immigrants from Haiti and Africa that reportedly contained profane language. The Rev. Maurice Watson got a standing ovation during his sermon at the Metropolitan Baptist Church in Largo, Maryland. It was a topic undoubtedly addressed in many churches on the day before the Martin Luther King Jr. holiday, but on Sunday, Watson had Vice President Mike Pence sitting in his congregation. Watson said the vice president’s office called him earlier to let him know about Pence’s visit. Watson said there are members of his church who are from Africa and Haiti. The president was accused of using “s---hole” to describe African countries during an immigration meeting with a bipartisan group of six senators. The president, in the meeting, also reportedly questioned the need to admit more Haitians to the U.S. The pastor called the reported comments “dehumanizing” but he said he wasn’t directing his sermon specifically at the vice president. On Monday, the White House confirmed Pence attended the service but did not characterize his reaction to the sermon. Watson said under similar circumstances, he would do the same sermon again. “If I had to do it 100 times again, I would do it, because it is right,” he said.